At this point, there’s no debate—providing customers with optimal shopping experiences is one of the most important keys to success for merchants. The more a company focuses on providing satisfying shopping journeys, the more likely it is to thrive. It’s no secret that businesses that have the right tools in place for measuring and improving customer experience have a major leg up over their competition. But because there are so many methods available, and traditional ones aren’t exactly proven winners, there’s still a bit of confusion around what measurement tools merchants should use and why, which leads into our next take-away. While there are a ton of tools on the market for measuring customer experience, most of them are perceived as ineffective at inspiring action or delivering financial results by the people that use them. The graphic to the left illustrates the problem with most CX tools—there’s very little benefit to data that doesn’t drive action or bring about results. Businesses need a real-time feedback solution that allows them to see when and where to act. It’s also extremely important for merchants to be able to tie feedback to transaction data, so they can see the relationship between the two. Tracking how customers feel against how much they spend presents a higher level of value to CX measurement. This recent piece from Forrester talks about how no retailer has become the clear CX leader in the US for the last three years running. Data shows that while poor scores dropped, so did good scores, leaving “OK” as the new standard for most brands. This is not good enough. It’s time for retailers to try harder—to make “excellent” their standard. The best way to do this is to take advantage of every customer interaction as an opportunity to learn and improve. Being able to collect feedback from every shopper at checkout can provide merchants the mass, validated insights they need to build the confidence that will drive positive change. The graphic to the left really resonated with us at one of the sessions we attended. It does a great job getting across why we set out to build TruRating—to provide retailers with the tech to be “fast, flexible and fearless”—something all great leaders take to heart. 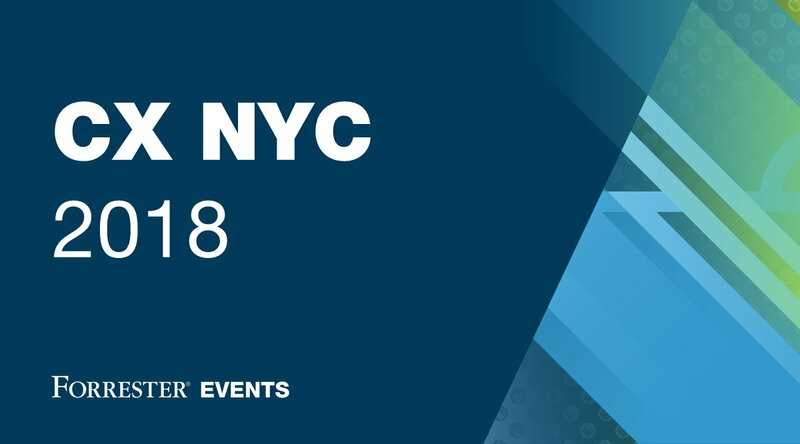 What we saw at CX NYC 2018 was reassuring and reinforces our commitment to providing the most powerful, cost-effective and easiest to implement solution on the market. We feel that no one offers a better CX tool, and we know you’ll feel the same way once you get on board. Can’t wait to see what people are talking about at next year’s event!